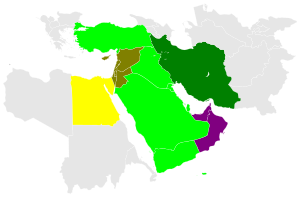 Light colours indicate where standard time is observed all year; dark colours indicate where daylight saving is observed. a The islands of Cape Verde are to the west of the African mainland. Countries and territories cobserving European Union DST rules. ^ "ISO 8601 Date and time format". ISO. Retrieved 2019-04-18. ^ Wolf, Misha; Wicksteed, Charles. "Date and Time Formats". www.w3.org. Retrieved 2019-04-18. ^ "Africa/Khartoum: Time Zone in Sudan, Current local time". Time Difference. Retrieved 2019-04-18. ^ "Current Local Time in Kaliningrad, Russia". www.timeanddate.com. Retrieved 2019-04-18. ^ "Current Local Time in Cairo, Egypt". www.timeanddate.com. Retrieved 2019-04-18. ^ "Time Zone & Clock Changes in Tripoli, Libya". www.timeanddate.com. Retrieved 2019-04-18. ^ "Current Local Time in Khartoum, Sudan". www.timeanddate.com. Retrieved 2019-04-18. ^ "Current Local Time in Gaborone, Botswana". www.timeanddate.com. Retrieved 2019-04-18. ^ "Time in Bujumbura, Burundi". 24timezones.com. Retrieved 2019-04-18. ^ "Democratic Republic of Congo Time Zones". www.statoids.com. Retrieved 2019-04-18. ^ "Current Local Time in Mbabane, eSwatini". www.timeanddate.com. Retrieved 2019-04-18. ^ "Current Local Time in Maseru, Lesotho". www.timeanddate.com. Retrieved 2019-04-18. ^ "Malawi Fact File". www.destination-malawi.com. Retrieved 2019-04-18. ^ "Flag of Mozambique image and meaning Mozambique flag". country flags. Retrieved 2019-04-18. ^ "Time in Namibia: What is the current local time now in Namibia?". greenwichmeantime.com. Retrieved 2019-04-18. ^ "Rwanda Time Zone - Rwanda Current Time". www.timetemperature.com. Retrieved 2019-04-18. ^ "South Africa Standard Time Zone - SAST". WorldTimeServer.com. 2015-12-09. Retrieved 2019-04-18. ^ "Zambia, Africa: Current Local Time & Date, Time Zone and Difference". Time Difference. Retrieved 2019-04-18. ^ "Time in Harare, Zimbabwe". 24timezones.com. Retrieved 2019-04-18. ^ "Europe/Kiev: Time Zone in Ukraine, Current local time". Time Difference. Retrieved 2019-04-18. ^ "EET – Eastern European Time (Time Zone Abbreviation)". www.timeanddate.com. Retrieved 2019-04-18. 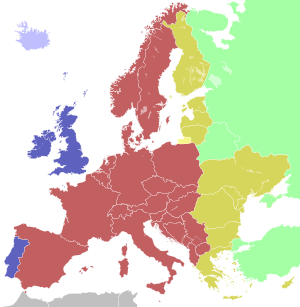 ^ "CEST – Central European Summer Time (Time Zone Abbreviation)". www.timeanddate.com. Retrieved 2019-04-18.